Does anyone remember 'spice advice'? A part of me knew that promising a semi-regular feature would be doomed to failure. I put together this recipe for a spice advice feature on cumin, and while I won't go through the whole rigmarole of describing cumin in excruciating detail, the recipe was already written and the photograph already taken, so it would be foolish not to get it out there. What I will say about cumin is that it is the best. It's never going to have the surprising, special-occasion wow factor that spices like saffron have, but it's an all-rounder, a staple of so many varied cuisines that it deserves maximum respect. As with many spices, it loves a bit of toasting. Here I used it to make a curry of lamb & chana dal. I may not have taken the most appetizing photo, but believe me when I say that this is a hearty and comforting dish. 1. 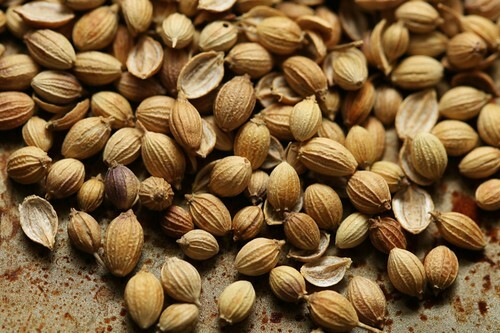 Toast the cumin seeds, coriander seeds, and dried chillies over a gentle heat for about 5 minutes until fragrant, then remove to a spice grinder and grind to a powder. 2. Sauté the onion with the asafoetida, cloves, cinnamon stick, and a pinch of salt for 5 minutes to allow the onion to begin to go translucent. Add the garlic & ginger paste and fresh garlic and cook for another minute. 3. 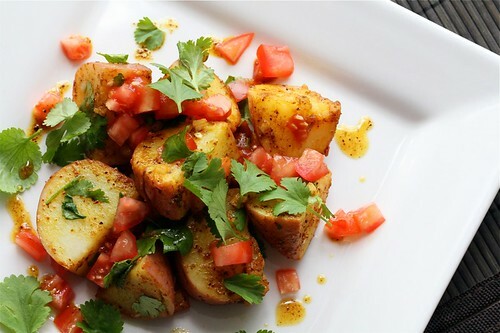 Pour in the spice powder and canned tomatoes and cook over a medium heat until the tomatoes start to break down. Add the diced lamb and chana dal with enough water to just cover, and bring to a boil. 4. Reduce the heat to a simmer, and simmer covered for 2 hours or until the lamb and dal are tender. If it's looking too dry, top up with a little extra water. Alternately if it's looking too wet, remove the lid and simmer uncovered to reduce. Salt to taste, and then stir in the ghee so it melts through the curry. For the best flavour, make this one day before serving. (1) Use a braising cut such as lamb neck. Lucy and I were at an Indian festival a few years ago when we ran into an Indian fried from uni. When I mentioned that we were about to get something to eat, she looked at us and said, "Oh, you should get butter chicken. White people love butter chicken!" I felt vaguely offended at the stereotype, but when you think about it, white people kinda do love butter chicken. It's on the menu of every western Indian restaurant, and its close cousin tikka masala has been called England's national dish. If you ask me, the stereotype is accurate. I can say that, too — some of my best friends are white! 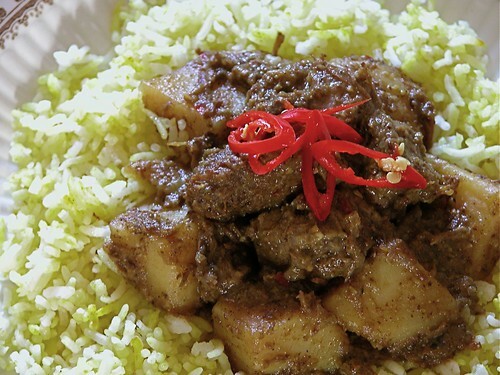 With such a popular dish, everyone has an opinion on how it's meant to be made. This recipe belongs to Alfred Prasad, the head chef of Michelin-starred Indian restaurant Tamarind (that's how you know it's good). I first saw him teach a chef how to make it on Gordon Ramsay's Kitchen Nightmares, and a bit of googling turned up the recipe and an instructional video online. I find those videojug recipes dreadfully slow to watch, so I've reprinted the (slightly modified) recipe here and broken it down into its separate stages. Give it a go, you'll have white people falling to your feet in no time. 1. Mix all of the ingredients except the chicken together, then add the chicken and mix well to ensure it's completely coated with marinade. 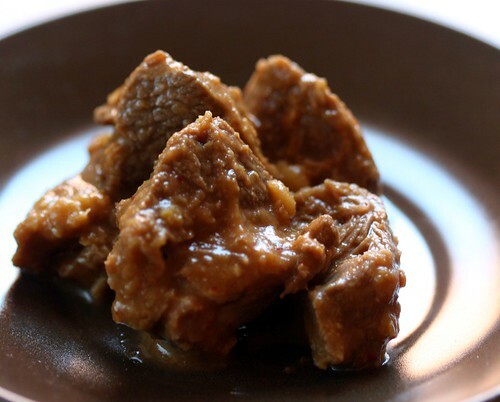 Cover and marinate in the fridge for at least 4 hours. 2. Fire up your tandoor, or much more likely your oven grill/broiler. Spread out the chicken in one layer on a baking tray, and cook under the grill for 5-10 minutes until the outside is well browned (a bit blackened in parts is fine, encouraged even). Set the chicken aside for the final stage. 1. 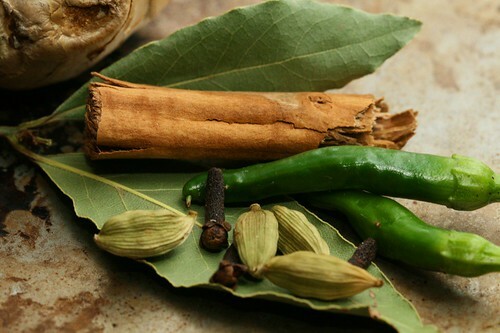 Heat the oil to medium heat then add the cinnamon, cardamon, cloves, and bay leaves and cook for 2 minutes. Add the ginger and chillies and cook for another minute. 2. Add the tomatoes, chili powder (if using), honey, and tomato paste, 1/3 cup of water and cook for about 20 minutes, until the tomatoes break down and thicken. Remove and discard the cardamon, cloves, bay leaves, and cinnamon sticks and blend what's left until smooth. 3. 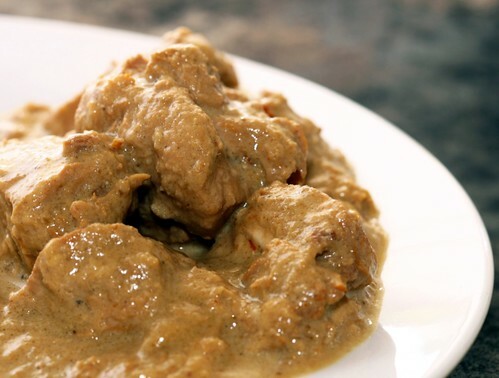 Return the blended sauce to the pan and add the kasoori methi and cashew paste. Salt to taste and simmer gently for 10 minutes. 1. 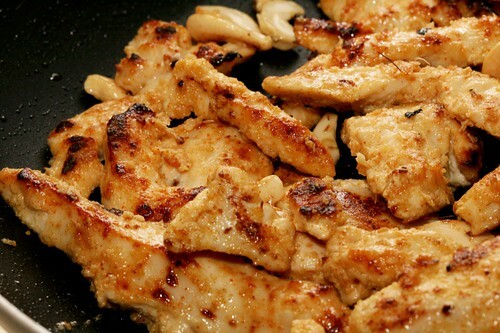 Melt the butter in a hot pan, then add the chicken and cashews and fry for 3 minutes. Cover with the sauce, the cream, and simmer together for 3 minutes. 2. Remove from the heat and stir in the butter which should melt into the sauce. Decorate with a drizzle of cream and serve. (1) The easiest way to do this is in a mortar and pestle with some coarse salt. However it should be fine to add them whole. Continuing the Indian food theme, last night I made dal makhani and garlic naan. 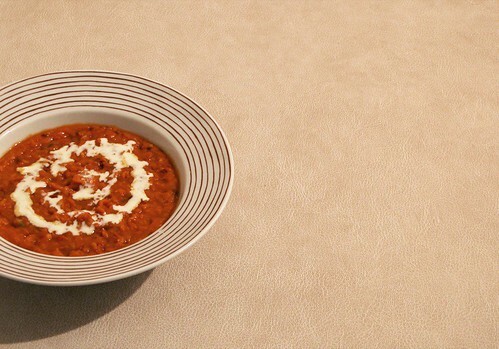 First things first: dal makhani. 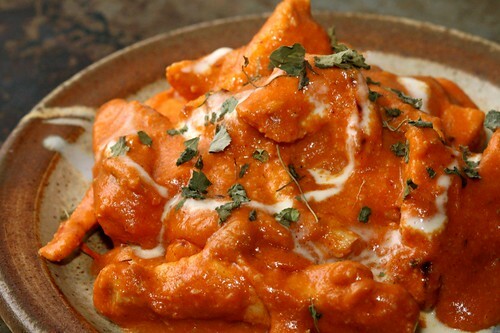 You might have heard of murgh makhani, better known as butter chicken. Dal makhani shares flavour elements with murgh makhani — particularly in the liberal use of butter and cream — but it is a distinct dish and by no means a 'vegetarian' butter chicken. 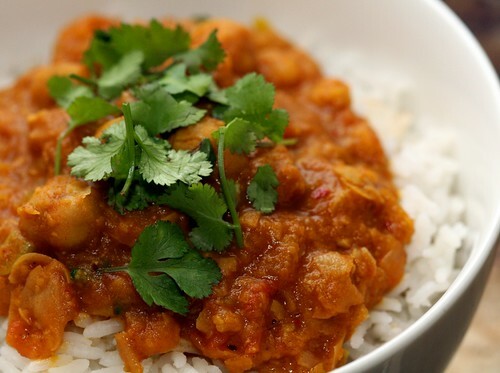 This creamy, aromatic stew of pulses could take your butter chicken any day of the week. I used a recipe from A Life (Time) of Cooking, and in my opinion the recipe is flawless. But I digress. This post is about naan, the second most delicious of Indian yeast breads (well-made Battura tops the list). This was the first time I've made naan — I could never be bothered making a yeast bread from scratch, measuring and mixing and kneading and rising and rolling and rising, just to serve as a side dish. I'm here to tell you that it's not a hassle. And if it were a hassle, it would be well worth it. Indian curries will often require you to wait for lentils to soften or meat to tenderise, and that's the perfect time to make naan. 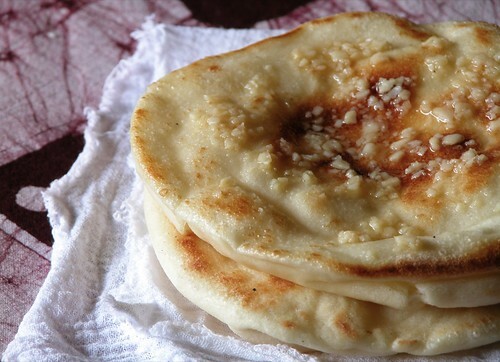 You could even make the dough in this recipe and freeze it for quick, fresh naan later on. This recipe was adapted from Stef's at the Cupcake Project. I've made some minor modifications: these are flavoured with garlic, it's a half recipe with measurements by weight, and mine are cooked in an oven. 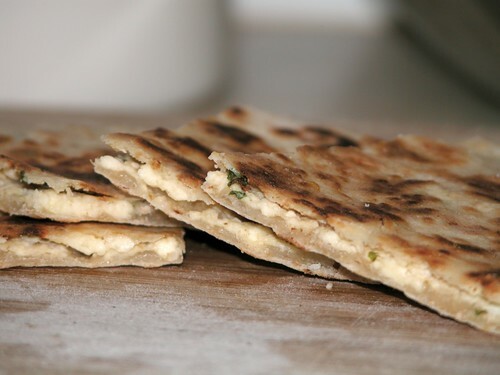 Naan are traditionally cooked against the scorching walls of a tandoor oven, an appliance most Western homes don't have. However, by turning my oven to its hottest setting and preheating it with a cast iron pan inside, I managed to create a furnace that was off the scale of my oven thermometer and cooked these babies in less than 3 minutes. Next time I plan to turn the grill (broiler) on at the same time to boost the heat even further.